Slots Capital is the sort of casino that is open to everyone, a gaming establishment that even accepts US based players, among others. It’s also part of a larger group of casinos, being owned by a well-known company like Sloto Cash. It uses Rival Gaming software and the slot machines from that developer to get the player’s attention. The company is licensed in Curacao. The casino has been around since 2012, sufficient time for players to get a feel for the company and to see that it’s well intentioned. 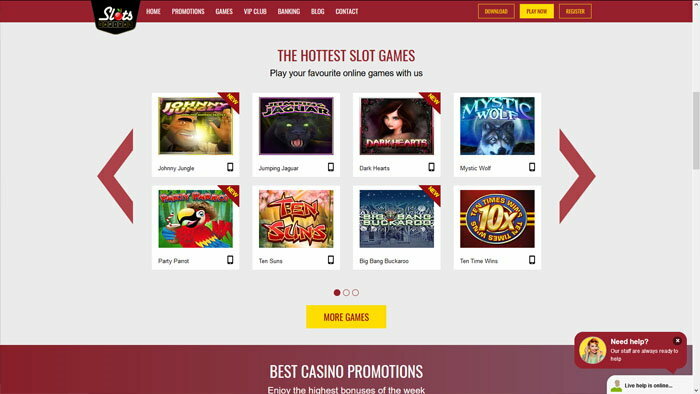 The casino’s website looks modern and has several major areas of interest for the player. You get big zones that are occupied by things like promotions, games or the available contact options. The site is translated into several languages, so if you know English, Italian, Spanish, French or German, you’re going to be fine here. Support is offered via standard options, such as live chat or email, and it’s available 24/7, a nice bonus that works in their favor. Knowing that you can get help at any time, even during the weekend or at night, is important for any player that invests money in a casino. While US players are welcome, other players from countries like United Kingdom, Italy, Mexico, Israel, Finland, Estonia or Canada (among plenty of others) are not. Software wise, Slots Capital went the way of Rival Gaming, one of the companies that have focused heavily on US players, among the few that haven’t denied them. The platform allows players to sign-up and to play by downloading software, by accessing the instant play site, or to use a mobile device to achieve the same thing. Whatever preferred method you have, it’s available at Slots Capital. 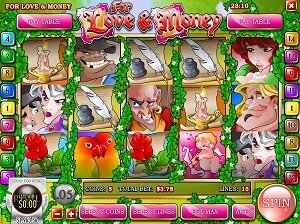 As far as the quality of the Rival Gaming slot machines goes, you’re going to find high quality graphics and unique features in many of them. Some of the recent games released by these guys include titles like Party Parrot and Big Bang Buckaroo, both excellent titles. 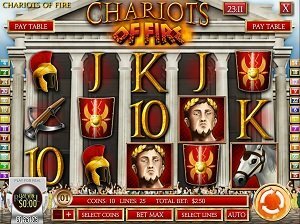 If you go back a bit in their history, you will find their i-Slots collection, more elaborate slot machines with impressive graphics and stories behind them. It’s one of the reasons why they grew, since players appreciated their work in this area. When it comes to other categories of games, besides the slot machines, Slots Capital delivers Table Games, Video Poker and Specialty games. These areas are obviously not as well populated as the Slots, but you get Pai Gow, European or American Roulette, Blackjack, Baccarat, Red Dog and Craps, so as long as those are your favorites, Slots Capital will cover your needs. The same goes for Video Poker, where there is a limited selection with just 7 games, the better-known ones. Keno, bingo and scratch cards are available in the Specialty category. One of the most popular categories, in any casino, is going to be the Jackpots, where progressive payouts are accessible. In the case of Slots Capital, this means a category which has games like Strike Gold, Major Moolah, One Million Reels BC, Money Magic, Jackpot 5x Wins or Baby Boomers. Slots Capital puts a big emphasis on daily promotions, covering the entire week, but before you get there you have the chance to take advantage of an impressive welcome bonus. Designed to cover the needs of slot machine players, this bonus gives you a 277% match of the deposit you make the first time. You can get up to $2,777 for free, with up to $1,000 required to take advantage of it. As little as $20 is required to use this bonus. The weekly promotions that I previously mentioned will revolve around deposits that result in bonuses or free money. The rollover varies between 16x and 60x, depending on how much you’re getting back. Slots Capital also has rewards to give away, such as the Free Chip Friday, Weekend Cashback or Comp Points that you collect as you play. 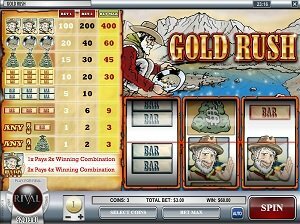 The currencies allowed at Slots Capital are the US Dollar, Australian Dollar, Euro, Rand and British Pound. As for the options you can use to deposit, they allow for several gift cards to be used (Target, Australia Post, Load and Go or Green and Yellow Woolworths), along with Visa, Mastercard, Skrill/Moneybookers, Neteller, EasyEFT and SD Instant EFT. When it comes time to withdraw money from them, the methods that are available vary based on the country of origin. In the case of US players, the options include the wire transfer and checks. Other countries also have EcoPayz, Skrill or Neteller. It’s a casino with a good selection of games, though only from one developer so it’s not a huge collection. The quality is good though, and for players that enjoy slots or the main versions of the table games it should be a good pick, especially with that 277% bonus.